For the past six decades, River Island has proudly maintained its place at the cutting edge of high street fashion, tracking trends in technology just as relentlessly as those in design. And it’s that hunger to stay ahead that’s led to their adoption of referral marketing – now the most effective form of new customer acquisition for fashion brands, both here in the UK and in the 18 other countries where River Island operate worldwide. 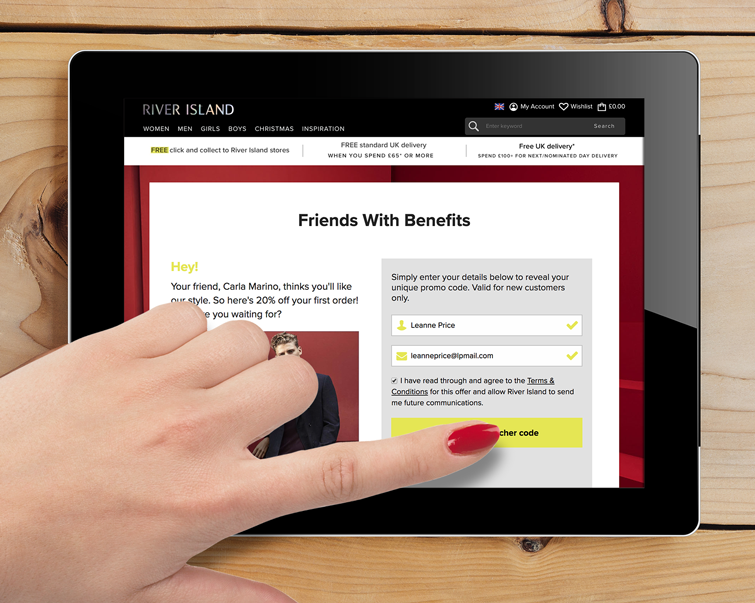 By using Buyapowa’s ground-breaking refer-a-friend platform, River Island are now able to equip and inspire their army of customers to get their friends shopping. Everyone who does so will receive £10 off their next order, while those friends will be incentived to take the plunge via a trackable 20% saving against their first shop. 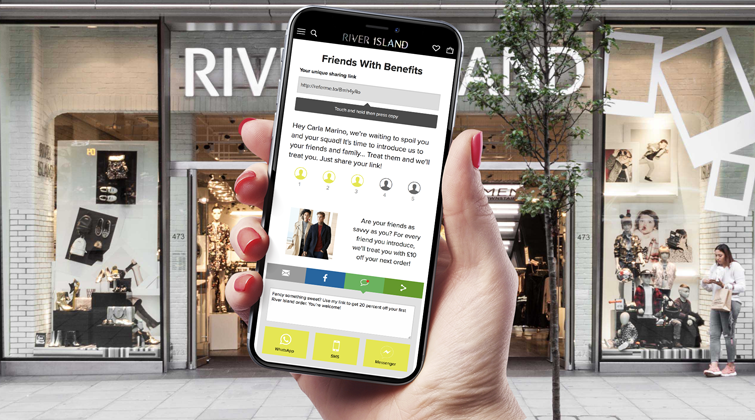 For more information about River Island’s trend-setting programme, or to find out how the Buyapowa platform can transform your acquisition strategy, just get in touch.